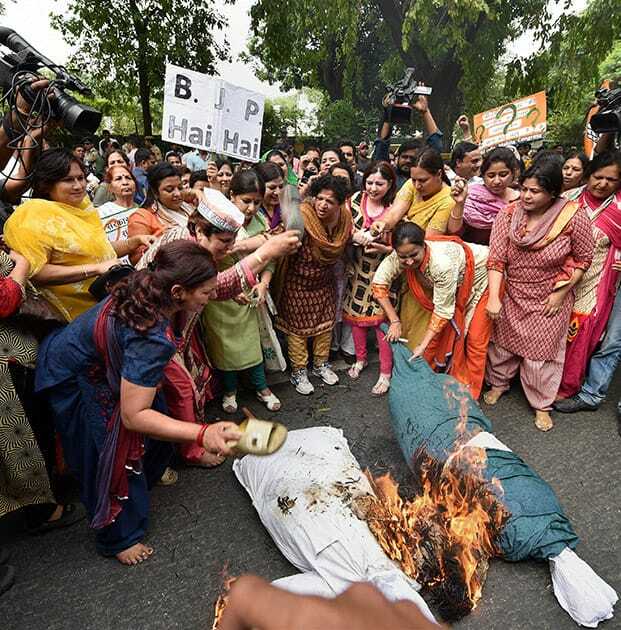 Mahila Congress workers burning effigies of Prime Minister Narendra Modi and Foreign Minister Sushma Sawraj during a protest at BJP office in New Delhi. Swaraj facilitated former Indian Premier League (IPL) chief Lalit Modi’s travel to Portugal for his wife’s treatment last year. 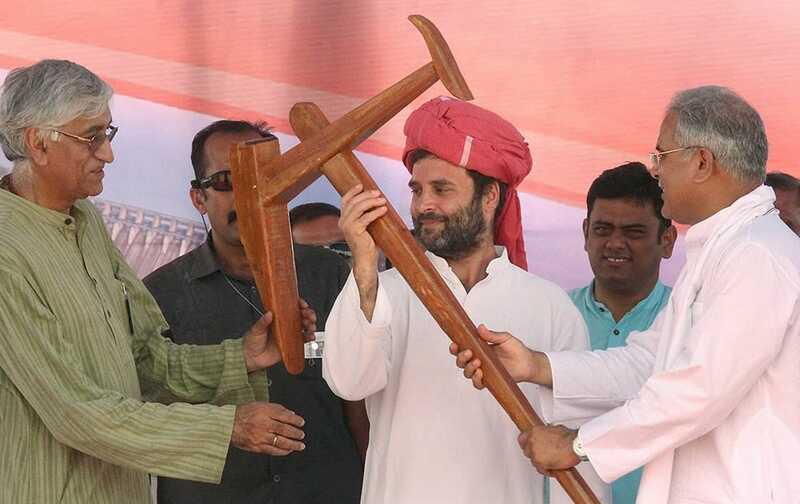 Congress Vice President Rahul Gandhi is presented a plough at a public meeting in Chhattisgarhs Janjgir-Champa district. Luke Wallace of Harlequins Football Club of England plays rugby with underprivileged Indian children at a coaching camp in Kolkata. 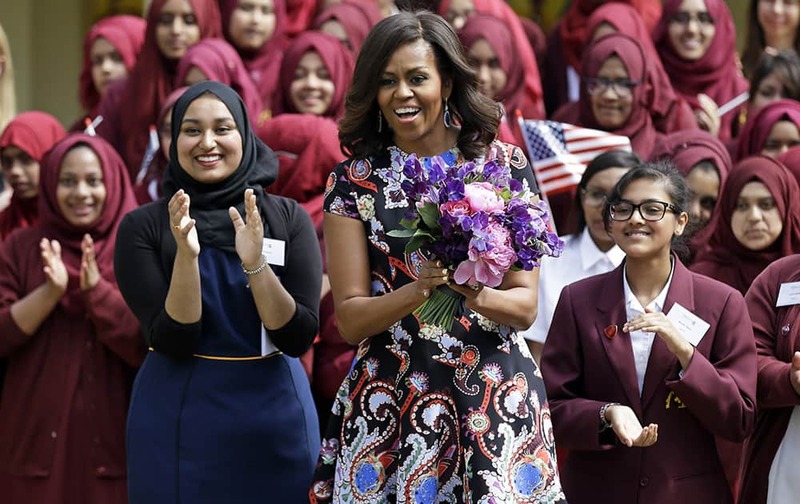 US first lady Michelle Obama is greeted by pupils and teachers at Mulberry School for Girls in east London. 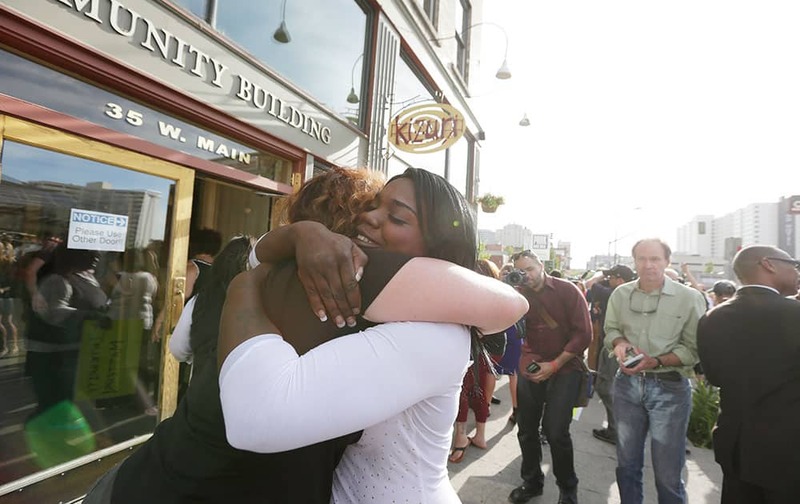 Michelle Obama is due to meet with female students in London on Tuesday to encourage them to pursue top educational goals. 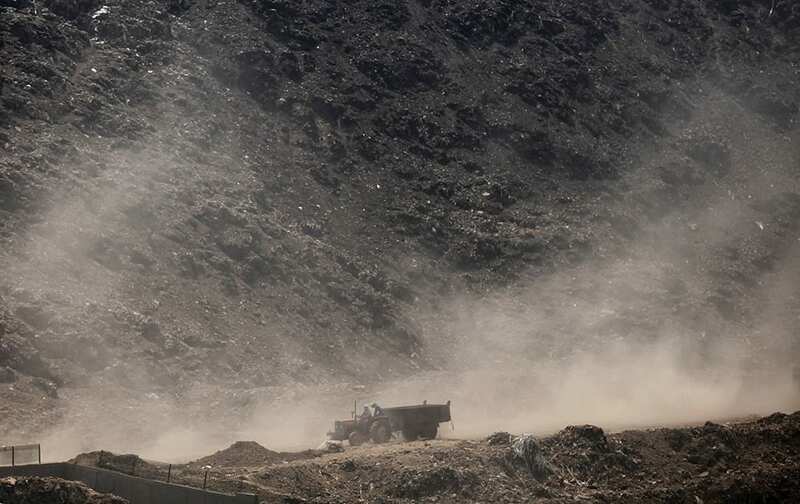 Dust rises as a tractor passes after dumping garbage at a waste yard on the outskirts of New Delhi. 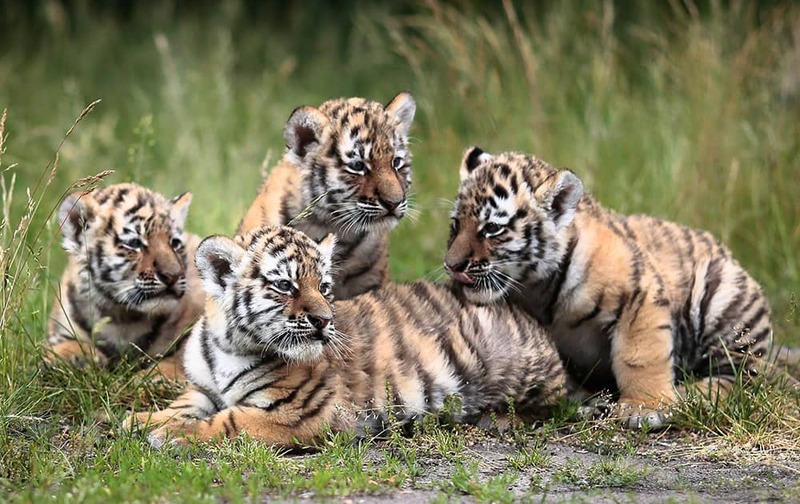 Siberian tiger quadruplets, sit in the grass during their presentation to the public, at the Tierpark zoo in Berlin, Germany. 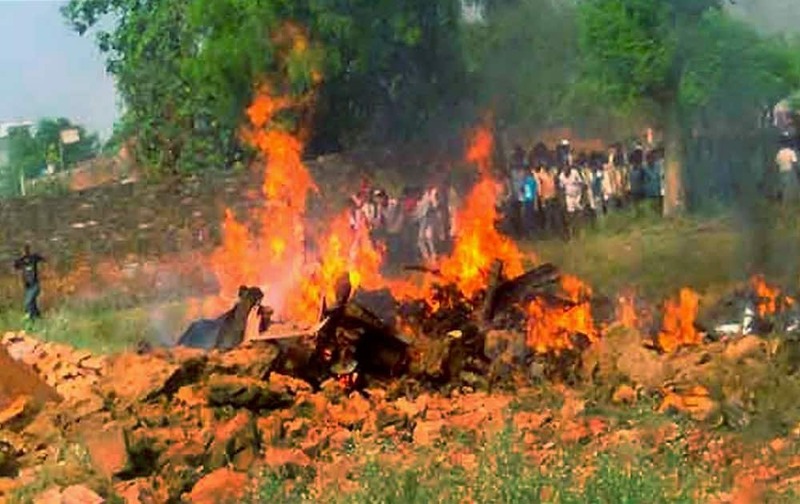 People gather near thet spot after a Jaguar fighter plane crashed at Chaka village near Karchana in Allahabad. 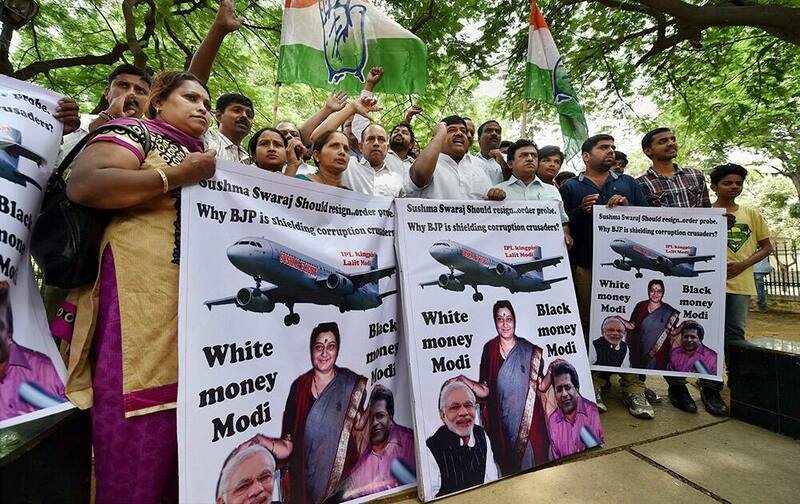 Members of Youth Congress hold posters and shout slogans against External Affairs Minister Sushma Swaraj in the row over helping scam-tainted former IPL Commissioner Lalit Modi obtain British travel papers,in Bengaluru. 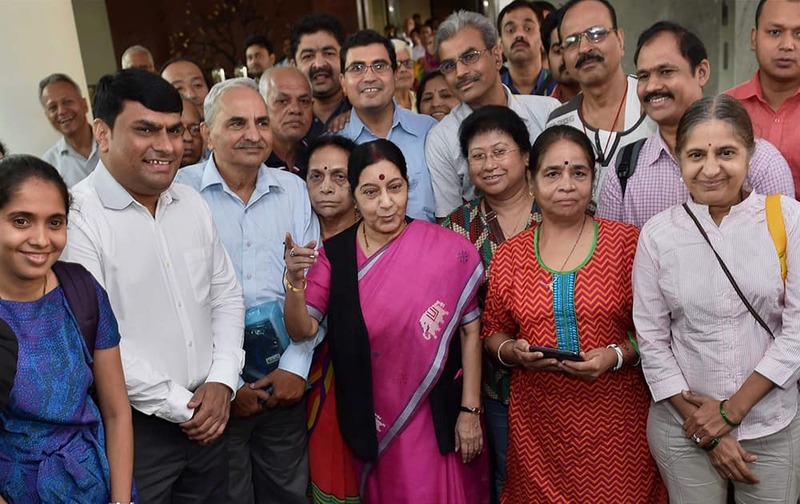 External Affairs Minister Sushma Swaraj with pilgrims during the flag off ceremony of the first batch of Kailash Mansarovar Yatris, who will travel by new route from Nathu La pass, in New Delhi. 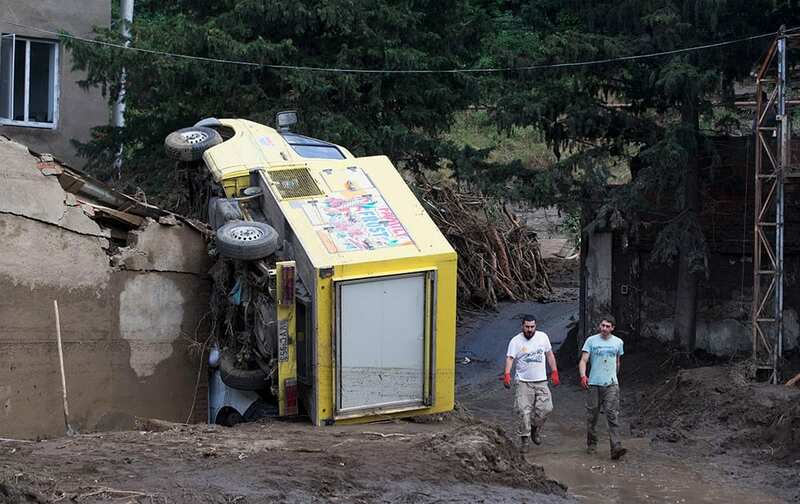 Volunteers walk past an overturned truck, after Sundays flooding, in Tbilisi, Georgia. 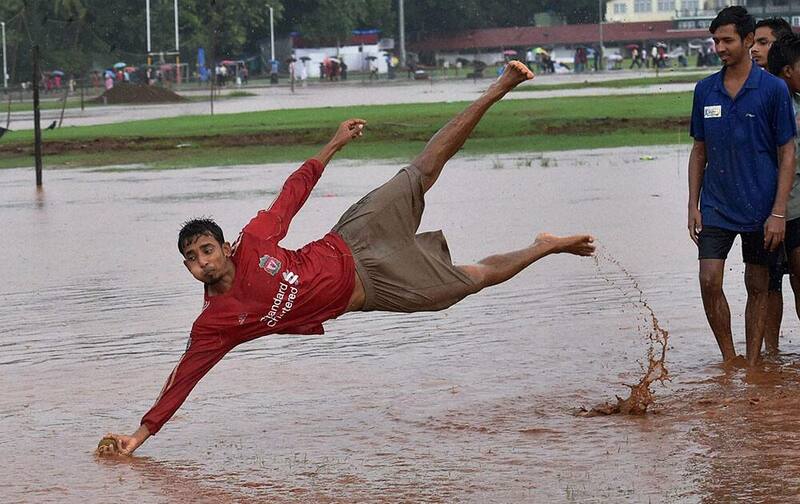 Workers and volunteers labored Monday in a flood-ravaged area of the Georgian capital to help victims while nervously watching for traces of dangerous animals that may have escaped the city zoo when it was inundated by the surging waters. 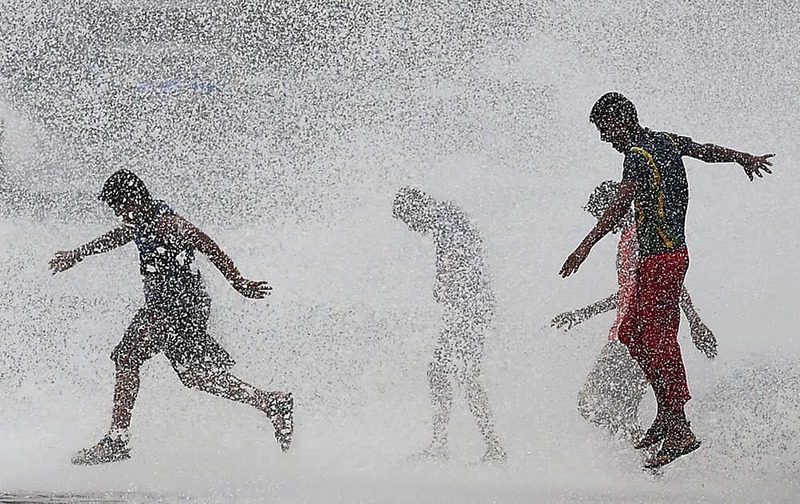 Officials in the ex-Soviet republic said 14 people were confirmed dead. 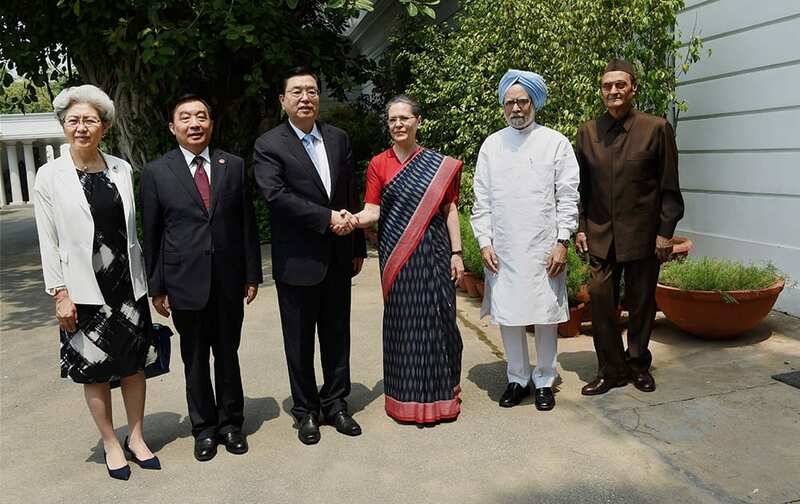 Chairman of the Standing Committee of the National People’s Congress of China, Zhang Dejiang meeting Congress President Sonia Gandhi at her residence in New Delhi on Tuesday. Former Prime Minister Manmohan Singh and Congress MP Karan Singh are also seen. 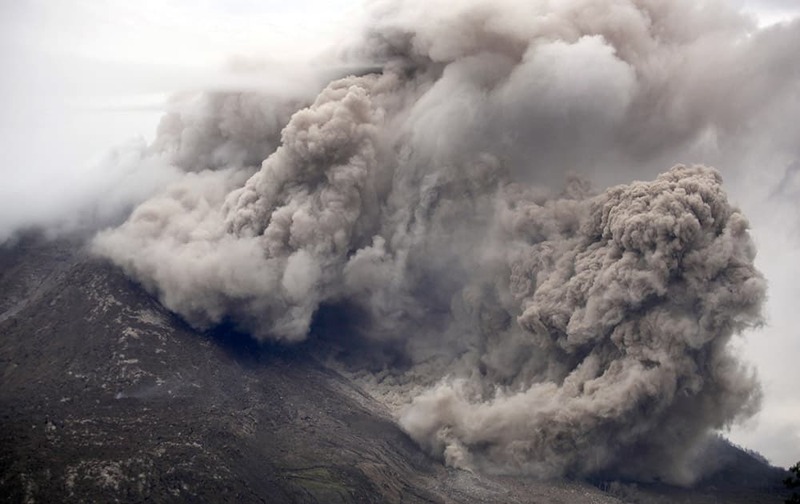 Mount Sinabung releases pyroclastic flows as seen from Tiga Serangkai, North Sumatra, Indonesia. 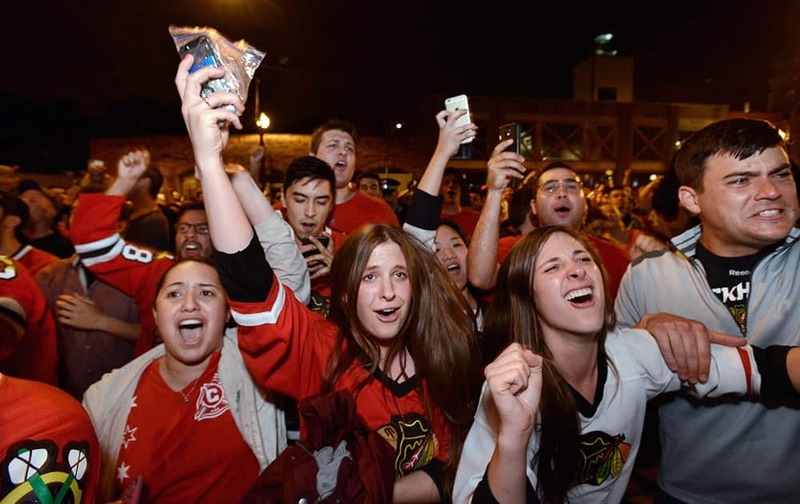 Chicago Blackhawks fans celebrate on Clark Street in the Wrigleyville neighborhood of Chicago after the Chicago Blackhawks defeated the Tampa Bay Lightning to win the NHL hockey Stanley Cup. 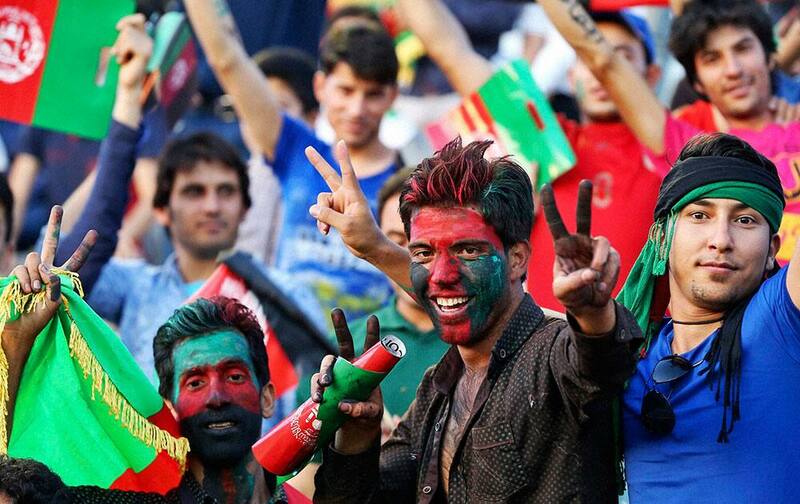 Mexican fans pose before the start of a Copa America Group A soccer match between Chile and Mexico at El Nacional stadium in Santiago, Chile. 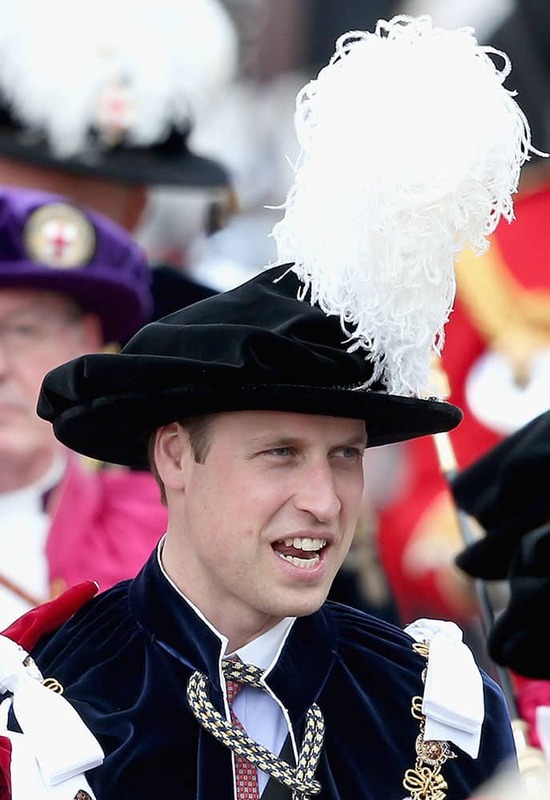 Prince William, Duke of Cambridge processes to the annual Order of the Garter Service at St George's Chapel at Windsor Castle in Windsor, England. 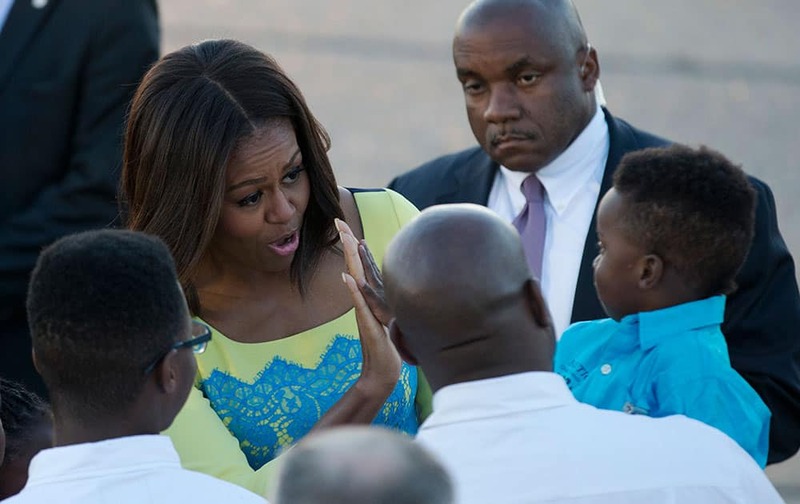 U.S. first lady Michelle Obama high-fives 4-year-old Austen, held by his dad Quientin Pradier, center bottom, a member of the U.S. Air Force stationed in the UK, as she meets U.S. service personnel and their families upon her arrival on a flight that landed at Stansted Airport in Stansted, England. Former Florida Gov. Jeb Bush kisses his wife Columba after announcing his bid for the Republican presidential nomination, at Miami Dade College in Miami. 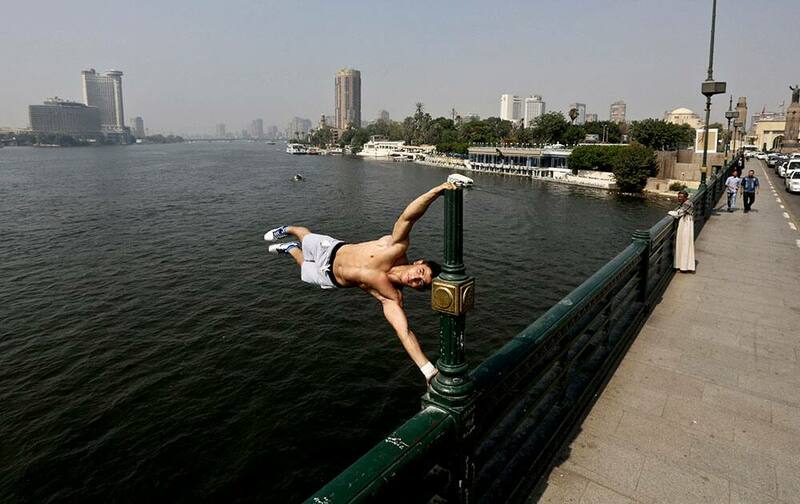 Osama Fawzy, 22, who describes himself as the "Egyptian superhuman" demonstrates a street workout skill on Qasr El-Nile Bridge, in Cairo, Egypt. 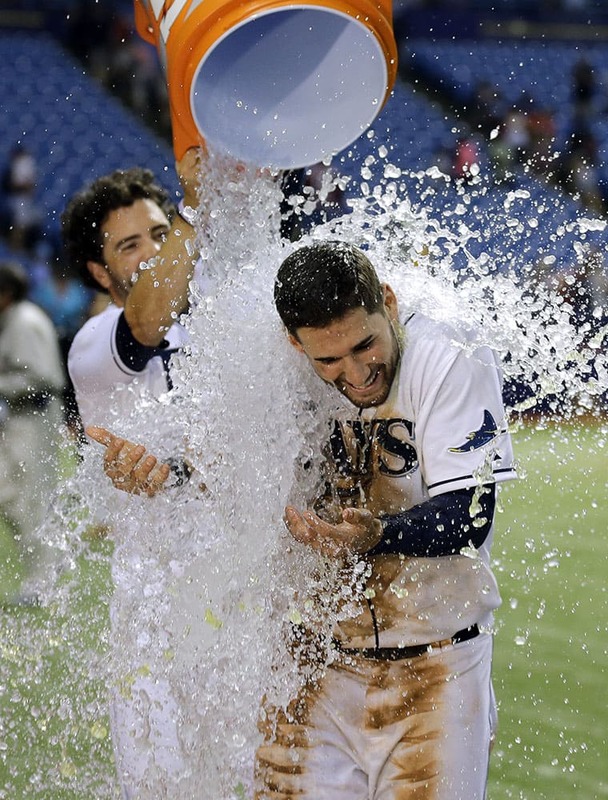 Tampa Bay Rays' Kevin Kiermaier, right, gets doused with water by David DeJesus after the Rays defeated the Washington Nationals 6-1 during a baseball game, in St. Petersburg, Fla.
Kitara Johnson, right, and Heidi Peterson hug after a demonstration for local NAACP chapter president Rachel Dolezal to step down, in Spokane, Wash.
Afghanistan soccer fans show the victory sign during a match between Afghanistan and Syria at FIFA World Cup 2018 qualifiers in Mashhad, Iran. 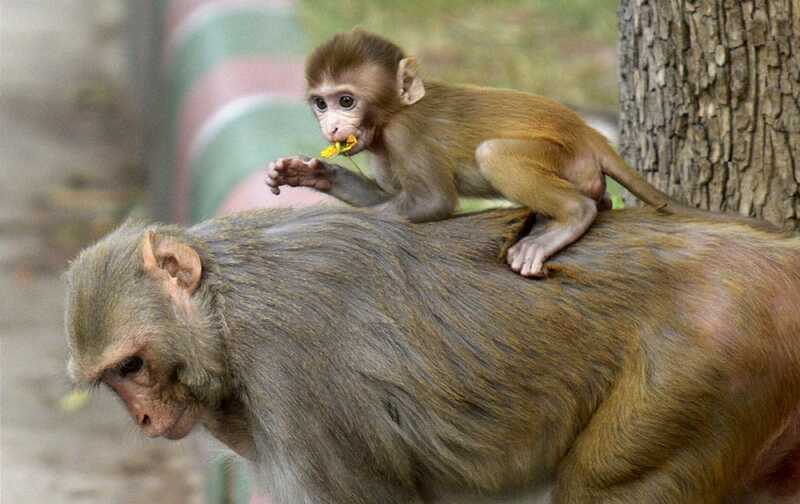 A baby monkey playing on its mothers back in New Delhi. Aam Aadmi Party (AAP) leader Somnath Bhartis wife Lipika Mitra with Delhi Commission for Women chairperson Barkha Shukla Singh during a news conference in New Delhi.